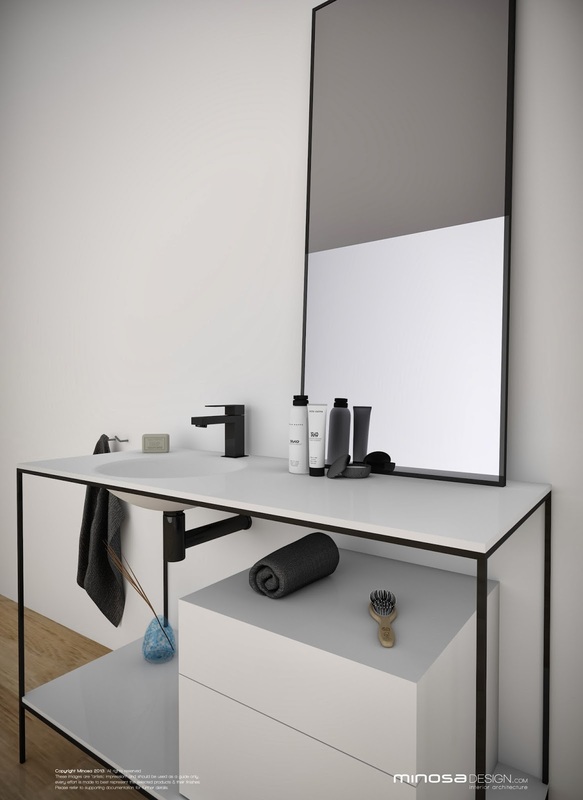 A new thinking for the Modern Bathroom Vanity unit, Minosa go back to one of our first products and put a fresh contemporary spin on it. 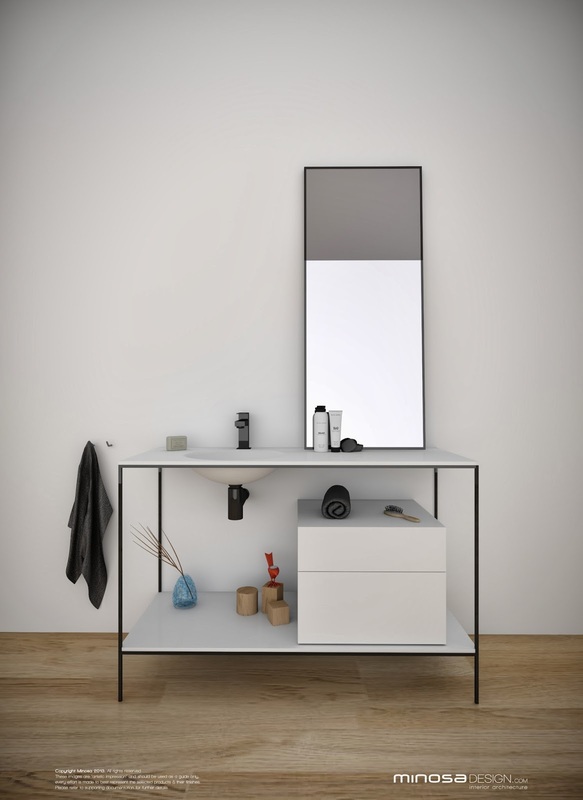 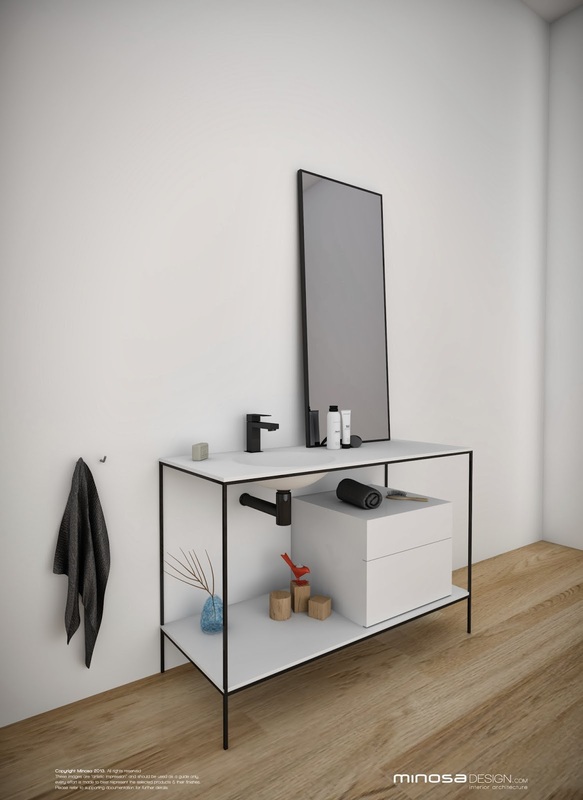 With the beauty of a piece of freestanding furniture, this contemporary vanity unit is designed and manufactured in Australia. 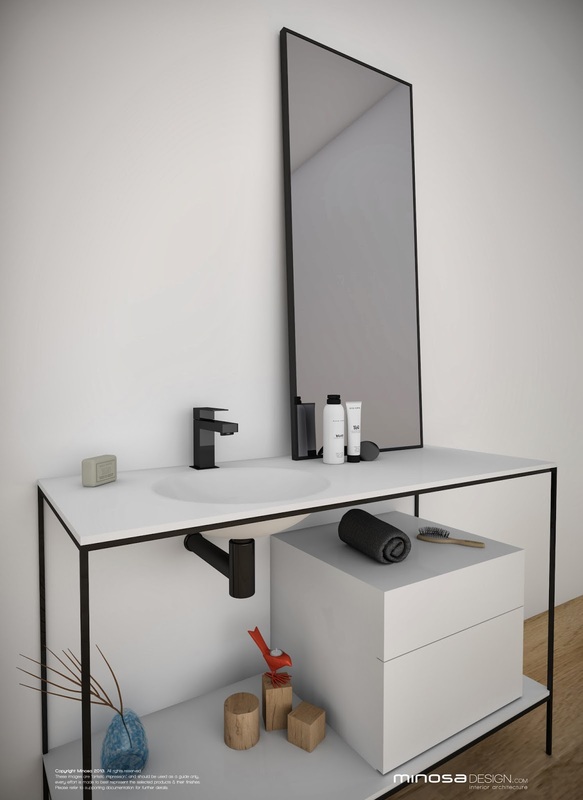 Available with a hand-made steel frame in anodised white or black finish, the unit includes a hand-made solid-surface benchtop with an easy-clean all in one integrated bowl and optional drawer unit and lower shelf finished in two-pack polyurethane. 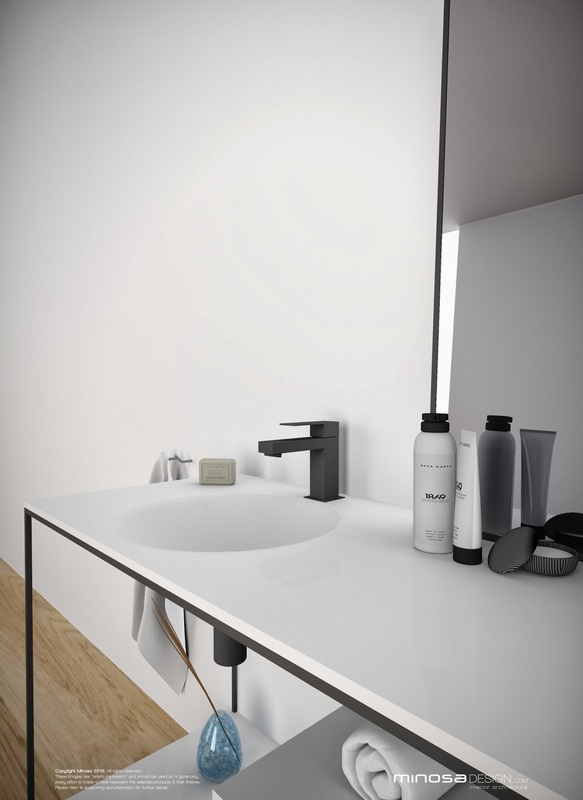 For maximum flexibility, the bowl can be set to the left or right hand side while the design incorporates plenty of set-down and work space. 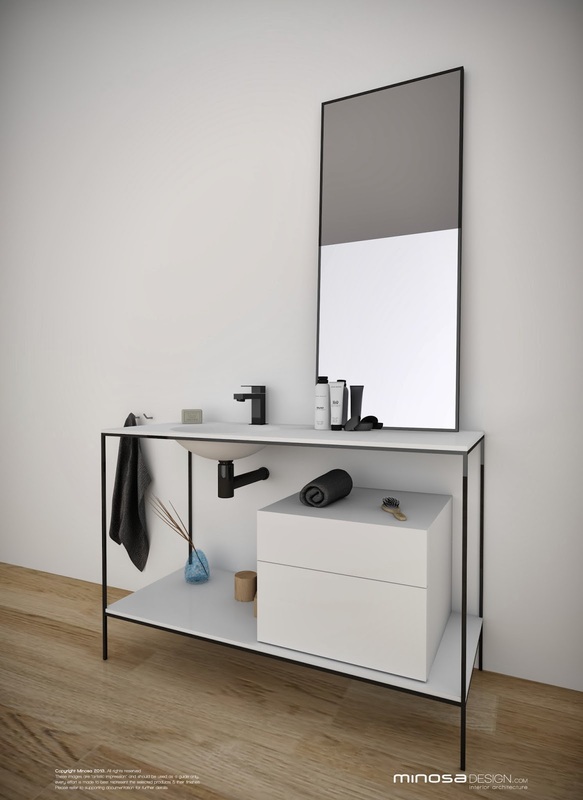 With an optional mirror and complimentary black or chrome tapware, this new vanity from Minosa will suit a range of bathroom styles.